In a previous post on A/B Tests I used rbinom() to generate some example data. This post looks at similar functions, extends their usefulness with Vectorize() and details how we commonly use these functions at uSwitch. At uSwitch, we find time to teach each other. Often, when teaching the basics about a particular function or statistical method, it is easiest to do so with simulated data. When building data transformations or statistical methods, we sometimes want to see how the transformation responds to specific situations. As in the A/B tests blogpost, we used data generation to check that the prioritiser would prioritise the mobile segment as the most important to look at. There are more in base R, but these are the ones we’ve found most useful. 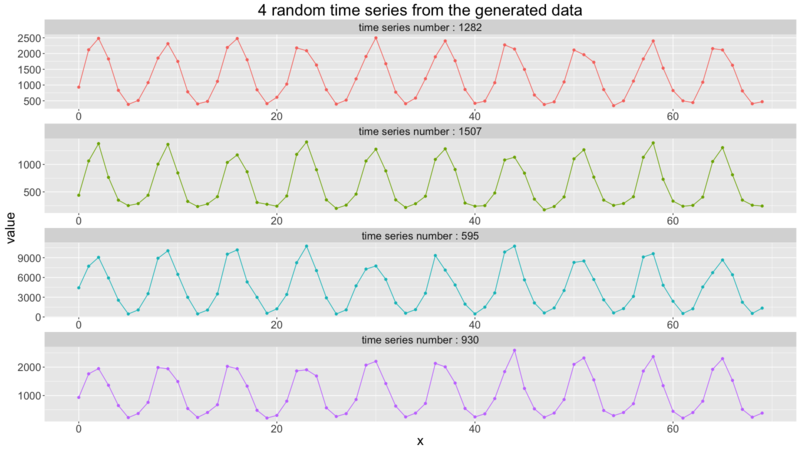 rbinom(), runif(), rbeta(), rnorm(), rpois(): used for sampling from binomial, uniform, beta, normal and poisson distributions, respectively. Binomial distributions can be used for generating binary outcome data from observations with a fixed chance of success. Beta distributions can be used for generating probabilities between 0 and 1, and often useful for a prior and posterior distribution in Bayesian analysis of A/B tests. Poisson distributions can be used to generate count data based on a constant average count per unit time. We can easily extend the rbinom(), rbeta(), runif(), rnorm() and rpois() functions so that they can take a vector for each parameter and output a vector of samples: one for each distribution specified by each row. We write some new functions which will generate samples from a distribution with varying parameters, taking as input a vector for each parameter rather than a single number. #This will generate 5 samples from a uniform distribution between 0 and 10. #and one sample from the uniform distribution between 7 and 10. These extensions help us when we want to simulate a diverse and varied dataset. We’ll write some more extensions in the second and third examples in the next section. Using some example A/B test results and rbeta(), we’ll estimate the chance that the true success rate of B is higher than that of A.
We’ll generate some success/fail outcome data with probability depending on an S curve over a real independent variable, in order to compare the results of logistic regression versus a simple single-layer, single-hidden-layer neural network. 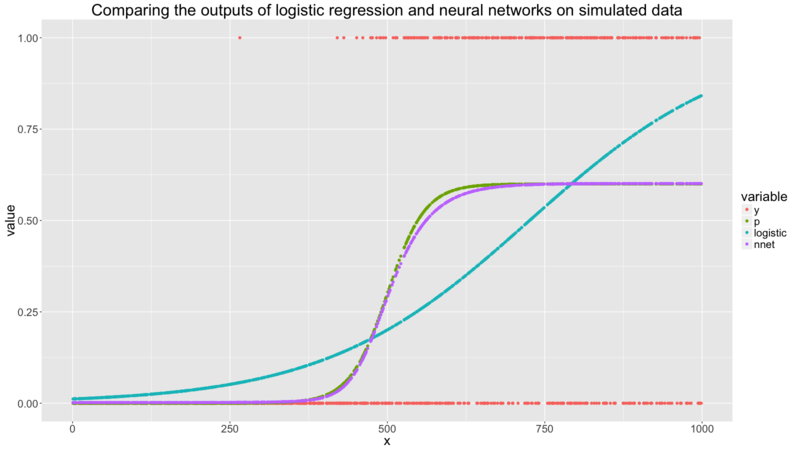 The code we’ve used here delves into an area that goes by many names: Bayesian Networks, Probabilistic Graphical Models and Bayesian Hierarchical Models are a few. For more complicated generative models, I would recommend a different approach to the one outlined above. One approach I am familiar with uses the pymc package in Python, an excellent introduction of which can be found in Cam Davidson-Pilon’s ebook Probabilistic Programming and Bayesian Methods for Hackers. For simple data generation however we find the functions in this post quick and easy to use. We hope you find them useful too.